Q: Will my brows look awful right afterwards, or during healing? A: Most clients love their brows immediately afterwards. Most of our photos are taken right after the appointment. You however, can expect them to get a tad bit darker before they shed and then get softer and more natural. The shedding is contingent upon your aftercare. It is imperative that you follow it. 50% of your results will be contingent upon you. Did you follow aftercare? You must be careful to not get the brows wet, so they don’t scab. If they get a little spotty, it’s okay to dab a bit of powder only in that bit while it heals. 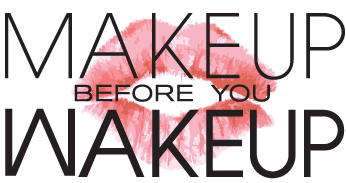 Liner, wax, or any other product can eat the tattoo pigment, so avoid those items. Otherwise, the healing should be swift and simple. Follow aftercare and when all else fails, use a touch of powder during shedding. Q: How long until they heal? A: Everyone is different and not everyone follows aftercare correctly. Should you adhere to the policy, generally 10 days is adequate. Q: Do I need a touch up and what happens if I don't get one? A: Yes, everyone requires a touch up within 3 months of their primary appointment. The touch up refines the brows, fixes any issues that occurred during healing and refereshes the color. It also reinforces the ink and makes the brows last. It fills in any gaps and brings the shape back to its original standard. The touch up makes the brows stick and without it, your results will be incomplete. You must schedule a touch up. If you don’t, your brows will fade significantly. You may be not allowed to continue on our touch up program after three months has passed because you did not follow instructions and most likely your brow will have faded too significantly to maintain with a touch up and you may have to schedule another primary. You may book your touch up for any day but a Saturday. We do not do touch ups on weekends. If you do follow instructions and get your touch up, you’ve done what you were supposed to do and you may maintain your brows for life with us at only touch up cost (1 per year is the required minimum after initial touch up). Q: What if I decide I want to change the shape afterwards, can I? A: When you get your brows done, you approved the first template before proceeding. If you change your mind later on, you may do so but understand it’s NOT a touch up. That’s a rework and the cost may amount to the price of a new primary appointment. It may also be significantly less than a primary but that will be determined by your artist, once you explain what your goals are. We are more than fair and will guide you to the most affordable and realistic option. Q: I have an engagement. How long before than should I book my appointment? Q: What if it doesn't take the first time? A: There is never any guarantee with any elective procedure anywhere. Ask any plastic surgeon. However, we do our very best to make sure this doesn’t happen. You must understand that you will need a touch up and that any discussion before the touch up is in vain. After your touch up, check your retention. You may always schedule an additional one, should you desire so. However, it’s unlikely you’ll need a second one in most cases. A: In most cases, not at all. However, if you are anemic, diabetic, a smoker, a drinker, in poor health… expect to bleed. Bleeding pushes out the lidocaine and makes numbing more challenging. Prepare by taking an iron supplement. Eat healthy. Cut back on caffeine and alcohol and use common sense. Results are always better when you’re healthy. We do our best to keep you comfortable regardless. A: Prepare to be there two hours. Q: What can I expect from this procedure? A: You can expect improvement. Perfection is unrealistic. You must understand the face is asymmetrical and unequal on both sides. The brows, even if placed perfectly, will never be absolutely perfectly even. Why? Because the face isn’t. Perfect brows look imperfect on an imperfect face. You can expect that your brows will look much better than when you walked in. You can also expect that your results will be only as good as you. Meaning, if you don’t follow aftercare, you won’t probably have the greatest results. If you don’t get your touch up, you have not completed the process. 60% of your satisfaction will come from the touch up. It’s probably more important than the primary, in that we are able to see how your skin has processed the pigment and fix and refine all issues that occurred during healing. If you healed great, then perfect but the touch up makes it last. Q: I want to fix something after my first session, how can I do that? A: Have you already had your touch up? If not, there’s no reason to worry. That’s what touch ups are for. You may book that online any day but a Saturday and address any concerns there. Your brows will be so much prettier when you finish the entire process with the touch up and they will last much longer. Everything will be discussed and gone over during your second appointment. We will not discuss beforehand, if you have not had a first touch up because its premature. There’s still a lot of healing that needs to take place and time is essential for that. If you’ve already had a first touch up and want another, you may always book another online but please do not overdo it! It is always suggested one wait at least 6 months after having a first touch up, to book another. Your first touch up cannot occur any sooner than one month after your primary, or it may cause scar tissue damage. Please be patient with the process and wait for your properly scheduled time.